There are real estate listing leads everywhere. Listing Generation System coaches real estate professionals how to get real estate listing leads. 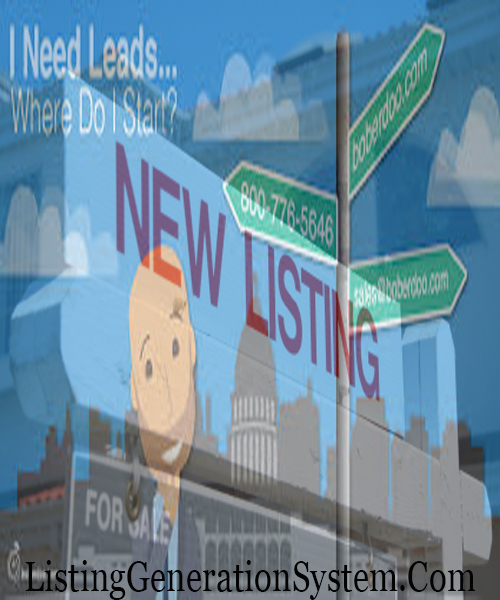 There are more listing leads daily right in your own background that you could ever handle. 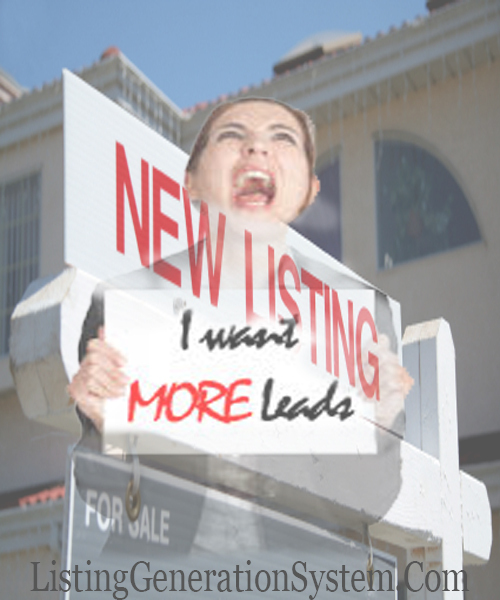 The most frustrating listing leads for realtors are when you run into an old friend, or acquaintances, or a relative. And the relative says something like, “we just bought a new house and old our old one”. When that happens I want to go to the nearest bathroom and threw up. As I am throwing up, I am thinking of the few thousand dollars that I just the threw down the toilet in the last mailing that I just mailed out with no good leads. Listing Generation System real estate success philosophy is that real estate professionals focus their efforts on working with real estate listings. Working with listings is more liable to get paid a commission compared to working with real estate buyers. In competitive market real estate market or in low inventory real estate markets it is very difficult to get real estate offers accepted by real estate listing agents. Real Estate Sales Professionals can avoid the ups and downs of closing real estate transactions by having a consistent flow of motivated real estate seller leads. Procuring motivated real estate owner with good quality sellable properties is money in the bank. Listing Generation System coaches’ real estate listing agents how to get listing leads for real estate agents on a consistent basis. Listing Generation System coaches listing agents how to find motivated sellers. The real estate listing agent must be creative, persistent, innovative, and determined to have success in real estate. Listing Generation System coaches’ real estate professionals to think different, not to market FSBO expired listing leads or expired real estate leads. Listing Gen Sys does not support for their real estate listing agent pupils to market to FSBO and expired because there is too much competition in real estate expired leads and FSBO lead generation. Every real estate salesperson mines expired’s and FSBO. Listing Generation System empowers real estate listing agents to think different and not be like everyone else. If you do the same thing that every other agent does, then you are more likely to fail because according to the national association of realtors, eighty-seven percent of new real estate agents stop performing real estate because they are not making money in real estate. There are many sources of obtaining a motivated sellers real estate listing. 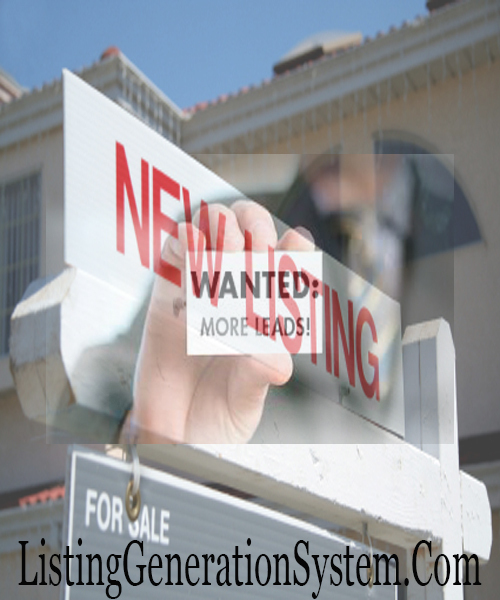 Great properties in great neighborhoods listing lead generation. When I was starting my own business in real estate, after working in real estate for thirteen years I got tired of making money for other people and decided to go on my own. My boss mentor instructed me to work with real estate listings only and not to work with buyers. I started to brainstorm on how to get more listing leads. At first, I did not understand why boss mentor instructed me to work with listings only. I have several references throughout this blog and YouTube videos but here is the short story. I started my own real estate listing business, and I started closing listing in real estate, meanwhile, buyer’s agents were submitting an offer to my listings. As many as twenty agents would submit offers to my listings and only one buyer’s agents would be successful. Nineteen buyers’ agents had to go to their buyers and break the bad news, their offers were not accepted. 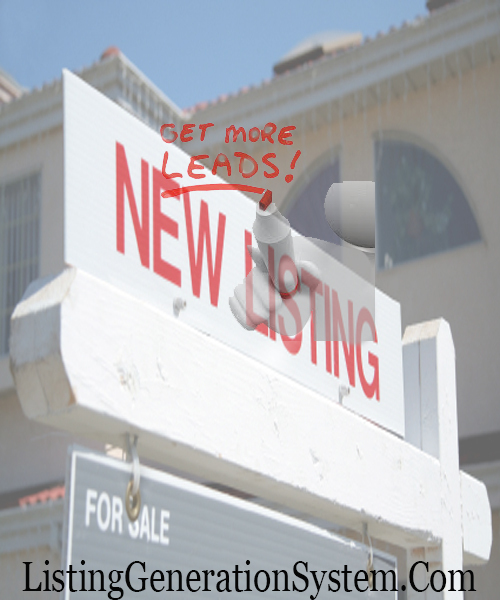 Buyers agents should ask themselves how to get more listing leads in the place of buyer leads. 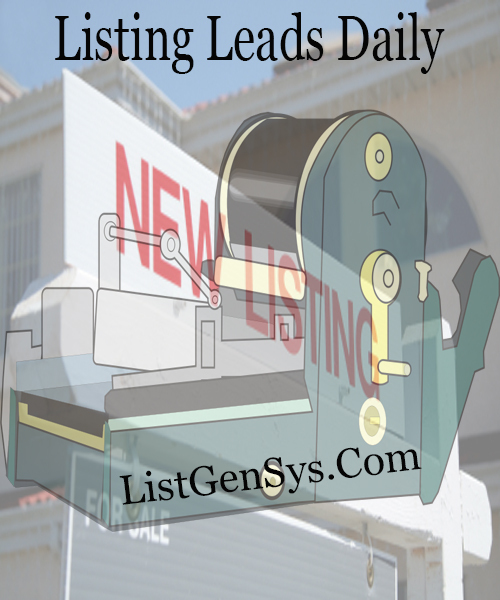 Listing Generation System coaches professional listing agents to focus their efforts are building a pipeline of real estate listing sources that several listing leads daily. Listing sources that have two, three, four or daily listing leads. Here is some good quality real estate listing source. This will give you an idea on how to start your own real estate listing source, how to find real estate listing sources with literally no competition. Choose one real estate listing source for success in real estate listings. You can not be all things to all people. You want to be in front of motivated seller leads.